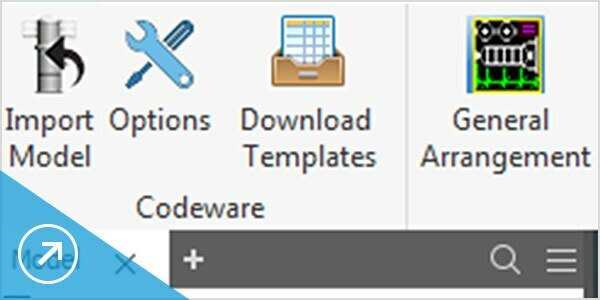 Codeware Interface® is an add-in for Autodesk® Inventor® that is included with each license of COMPRESS. It imports your COMPRESS pressure vessel and heat exchanger and creates a native Inventor® file. The associated data is managed through the use of iProperties. 2-D pressure vessel and heat exchanger drawings are auto-generated using the Drafter 3D drawing module. Codeware Interface converts exported COMPRESS and INSPECT 3D solid models (.xml3D) into Inventor files. Simply click ‘Import Model’ from our custom Inventor menu to import your pressure vessel or heat exchanger model, associated properties and preferences (e.g. units of measurement). 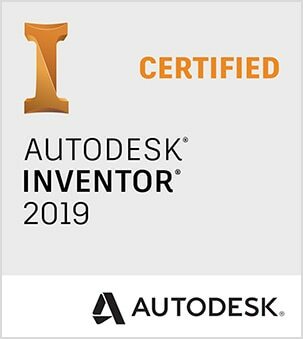 The automated drawing generation can either be coupled with the solid model import or the drawings for the imported Inventor file can be auto-generated later using the ‘Drafter 3D’ module. The ‘Options’ dialog provides various user preferences for import such as applying features to the model, precision setting for iProperty values, grouping components using assembly representations and iParts, drafting preferences etc. There is no additional charge for the Codeware Interface add-in provided that your company has current COMPRESS or INSPECT software support. Codeware Interface adds a custom menu to Inventor.